This half-day workshop brings together a global community of in-house counsel together with company secretaries, compliance professionals, CxOs and other innovators to discuss the changing role of the legal profession in business and society. It will uniquely focus on the practical aspects of innovation in legal and compliance roles to help deliver real value. It will include workshops and panel discussions from market leaders, and senior legal, regulatory and compliance professionals. The event will consider how these issues are being approached in different jurisdictions, not just in the UK. CLI2018 will feature the exclusive launch of research jointly conducted by Katten Muchin Rosenman UK LLP and EPG on innovation in the legal profession. Legal innovation does not just mean evolving in the technology age. It also means considering how traditional firms are rethinking their way of doing business, placing the in-house counsel more firmly as a leader in the business. This could include incubating LegalTech, understanding Robotic Process Automation, dealing with more regulatory and government scrutiny, addressing cyber challenges and more. Hear from thought leaders and speakers from the UK, US and Europe pushing boundaries and take part in thought-provoking sessions on key issues. Attendance for in-house legal counsel is free. To request a place to attend at future such events, please email Nehil at nehil@economicpolicygroup.com. Venue: The Royal Institution, 21 Albemarle St, Mayfair, London W1S 4BS (closest tube stations Green Park and Piccadilly Circus). For more information, call +44 (0) 20 7993 6851 or look on the bottom right of your screen now to chat live to one of our team. 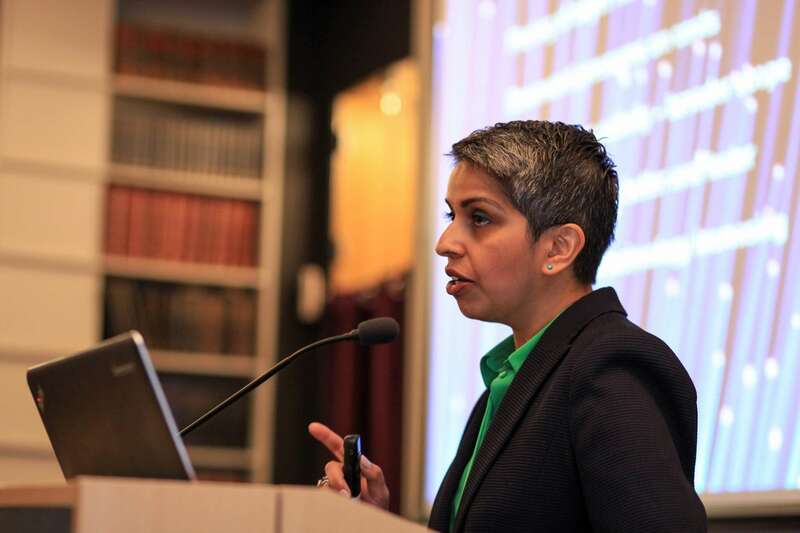 For sponsorship or speaking opportunities too, email Nehil at nehil@economicpolicygroup.com. Introductory remarks from Paul on what will be a workshop-led, intimate event sharing best practice and case studies between in-house counsel and related professionals. Sophia Adams Bhatti is a public policy and regulation expert, having spent over 15 years in the regulatory and policy arena, working across a range of sectors, including legal services, financial services, economic regulation and healthcare. Sophia joined the Law Society in July 2016 where, as the Director, she leads the Society’s legal and regulatory policy team. Case studies on in-house counsel sharing their experiences of introducing and managing change, and innovation, in their organisations. Case study 1: Sophia Adams-Bhatti will talk about trends and challenges in the in-house setting driven by technology, and impacts on firms and future models of delivery. Sophia gives her perspective from a practitioner heavily involved in legal and reg tech, AI and ethics, and innovation. This presentation covers Matthew’s experience in establishing an effective legal function attuned to the business strategy and aiming to deliver high value legal advice. It will consider the end-to-end approach, how this compares to some of the alternative models (including approaches taken in other parts of the wider BT group), and how the delivery model for legal advice benefits from, and can adapt to, organisational change. Case study 3: Anupam Razdan has worked at a service provider as well as in-house in eDiscovery and eDisclosure. He applies rigorous in-house evaluation before committing to any new vendor, based on his team’s own in-house research. His case study will cover what this process could look like for an in-house counsel seeking to do their due diligence on new technology. Marie-Anne Birken was appointed General Counsel at the European Bank of Reconstruction and Development (EBRD) in June 2014. She is responsible for the Office of the General Counsel which includes the Legal department, the Operations and Administration Department and the Procurement Department. Ms Birken is a member of the Executive Committee and various other committees of the Bank such as the Operations Committee, Risk Committee and Strategy Planning Committee. Ms Birken joined EBRD from the Asian Development Bank where she was The Secretary and previously served as Deputy General Counsel and as Assistant General Counsel responsible for private sector operations. Ms Birken has extensive emerging markets experience and lived and worked in Asia from 1995 until 2014. She was previously a partner in two international law firms and held the position of regional general counsel at Barclays Bank where she supported corporate banking activities in Asia, the Middle East and Africa. Ms Birken is a Dutch national; she has a Master’s degree in law from the University of Utrecht and also qualified as a solicitor in England & Wales. This session will cover the key current trends in innovation across the legal and regulatory/compliance sector, from trends in technology, organisation, pricing, role, process and so on. It will uniquely compare and provide insights and case studies from different markets, including the UK, US and EU. This session will give an overview for in-house counsels on what 2018 brings with it, and the key economic risks and opportunities to consider for the coming years. 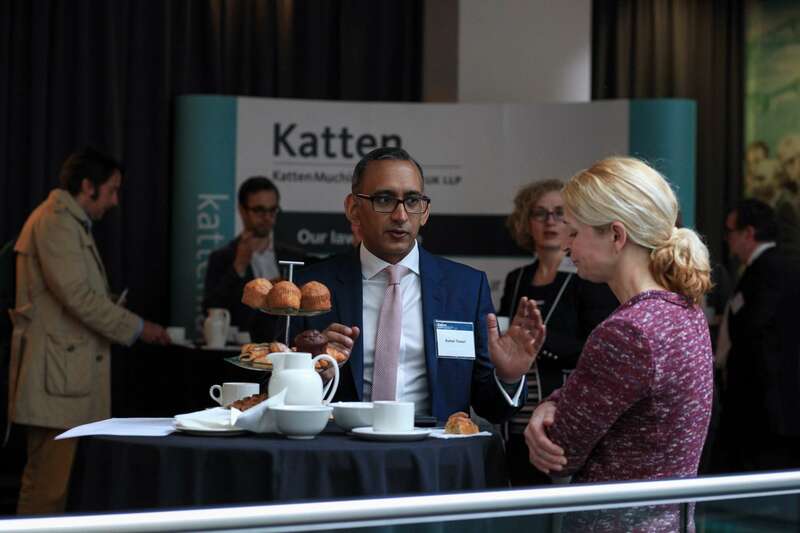 It will also provide an overview of a special in-house lawyers’ survey conducted by Katten Muchin Rosenman UK LLP on innovation in the legal sector. Panel discussion: Are lawyers becoming the new VHS and fax machines? This session will be wider than simply considering technological innovations, and will deep-dive into the changing role of lawyers and regulatory experts in the future. It will address the changes facing the legal and compliance industry structure itself and traditional roles and organisations. It will consider the changing interaction between in-house teams and their external providers, the changing role and organisation of in-house legal and compliance teams, as well changing traditional roles of external law firms. These changes will include the development of new roles such as project managers, changing fee structures impacting how external law firms are organising themselves, and the growth of alternative and niche non-legal providers. Natalie Abou-Alwan has over 15 years of experience in the global commodities trading industry, working in private practice (UK and US Wall Street), US investment bank, commodities trading house and oil major. Businesses leverage my legal and commercial expertise to support them in generating profits by harnessing their capabilities and driving them forward to realise their goals. Natalie Abou-Alwan has proven track record of advising on both the legal and commercial aspects of global commodities markets: crude oil, oil products, natural gas, LNG, power, emissions, coal, as well as softs and agricultural products. Her strengths in particular lie in advising on structured transactions, combining deep knowledge and experience of both physical and financial commodities markets, entrepreneurial financing structures and security packages. Most recently working with oil and gas producers, traders, originators, financiers and strategic partners. She was named as a Rising Star: Energy in the UK GC Powerlist 2017. Transferable skills, management and leadership experience and looking to diversify into non-executive and trustee roles. Sean Thomas lead a team of lawyers in the UK&I providing legal services to HPE’S USD 2.5B hardware (networking, storage and servers) and services business and manage UK&I legal support for corporate transactions (M&A, dividends and internal group restructurings), corporate governance and compliance / regulatory matters. Sean has worked on a broad range on legal matters and transactions including a number of $100 million+ corporate and outsourcing deals, internal corporate group restructurings, competition law matters and regulatory filings. Earlier, Sean was associate in the corporate department at Norton Rose Fulbright. Primarily advised a number of UK and international corporations on UK corporate matters and multi-jurisdictional mergers & acquisitions including multiple shareholder disputes for UK listed companies, BMW on a number of major M&A transactions, Nestlé on a number private company acquisitions in the UK and F&C Asset Management plc on a number of strategic transactions. Sean provided regular advice on the Disclosure and Transparency Rules, Listing Rules, conflicts of interest, directors’ duties and company secretarial matters as well as advising UK private and listed companies on commercial matters, including commercial contracts, supply and purchase agreements, distribution agreements, investment agreements, leasing agreements, customer contracts and standard terms. Anupam Razdan is head of eDisclosure at The Royal Bank of Scotland. He and his team are responsible for all eDisclosure/eDiscovery activites at the bank. Anupam is a U.S. qualified attorney and a former engineer. His practice encompasses the disparate areas of law, technology and economics. He has represented both corporate and vendors in eDisclosure. Kishan is the Head of Leagal for The London Metal Exchange. Immediately before joining The LME, Kish was Vice President of Business Development & Strategic Partnerships at Barclays Bank in London. Prior to this, Kishan was a Vice President in the Barclays Bank legal team for three years. Kishan trained as a solicitor at Clifford Chance during which time, he worked at the firm’s London, Warsaw and Amsterdam offices. Kishan has a first class honours degree in law from the School of Oriental and African Studies, University of London. While at university, Kishan worked as registered door supervisor (bouncer) as well as being a senior student in his university’s student halls of residence. Kishan was also president of the university law society and in his final year, the winner of the Company Law Prize. In 2009, Kishan received The Society of Asian Lawyers, Young Lawyer of the Year award. Outside of work, Kishan enjoys theatre, playing squash and travelling to unusual destinations with friends. Adedayo is a Legal Counsel and Vice President at Deutsche Bank AG London Branch. Previously he was Counsel in the Office of General Counsel at the Commodity Futures Trading Commission in Washington and before that, an Associate at Simpson Thacher & Barlett LLP in New York. Adedayo is Co-Chair of the American Bar Association Task Force on Financial Engineering for Economic Development and a member of the Council on Foreign Relations. This session will focus on M&A transactions, and regulatory/compliance projects, amongst others. It will consider the potential solutions and innovations that are being used or discussed in the market. It will be a practical workshop session, examining and discussing what technological and project management solutions have been used, what works, and what new tools and practices peers are looking to use more in the future. An experienced legal, strategy and business development professional, Michael Barker is currently General Counsel (interim) with the Behavioural Insights Team, a social purpose company that is helping governments, NGOs and private sector institutions tackle some of the world’s most complex public policy challenges using behavioural sciences. Prior to joining BIT, Michael Barker spent more than a decade working in top-tier international law firms, and have worked on a wide variety of cross-border M&A and restructuring transactions while based in London and Sydney. Michael Barker has completed bachelor’s degrees in law and information technology, and an MBA from London Business School, and have significant experience in the financial services, technology, media, energy and infrastructure sectors. Michael Barker is interested in connecting with anyone working at the intersection of law and technology, or who just wants to discuss Australian sporting successes. Shobana is a Qualified Practising Barrister, called to the Bar of England and Wales in 1998 and completed pupillages in commercial (domestic & international practice) & chancery law in October 2002. She is also an accredited tutor for the Chartered Institute of Arbitrators. Her appointments include being an elected Member of the Bar Council. Shobana sits on the Bar Council’s Legal Services Committee and the IT Panel Committee and plays an active role in deciding on key issues affecting the profession and the wider community particularly in relation to the implementation of IT developments, Data Protection/Security and AI. Richard Tomans has spent over 18 years working in the legal sector focused on the UK and global legal markets. Since launching Tromans Consulting in 2015, Richard has advised many law firms and several law firm networks on a variety of strategic and innovation projects. Richard previously worked at Jomati Consultants LLP in London as a Strategy Consultant and as the firm’s Head of Research, covering a variety of advisory work, initially in support and then directly, for clients across a wide range of jurisdictions and sector focuses. This included law firms, barristers chambers and litigation funders. Prior to that, he has worked at US-based, Hildebrandt International, as Report Editor in its Strategic Intelligence Group, then the largest legal sector consultancy in the world. It was here where he also began my career as a consultant to law firms after being asked to contribute to client advisory projects.